Shrinking Planet offers webinar and online event management services, including concept development, production and back-end support to help clients configure, promote and deliver high-quality, content-focused online events to customers and prospects. With professionally-produced webinars and online events, organizations can engage more deeply and directly with customers and other stakeholders than is possible through more static communications channels. 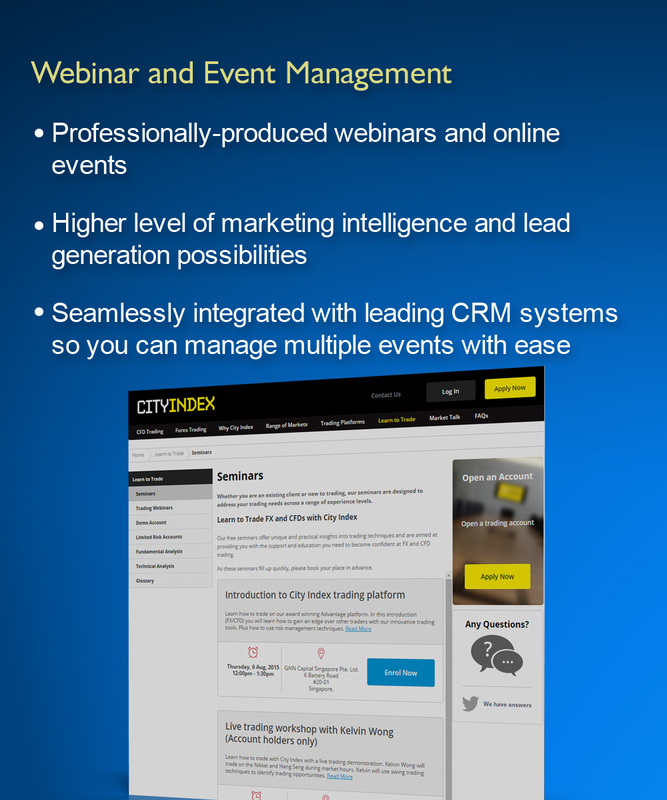 Webinars and online events also provide a higher level of marketing intelligence and lead generation possibilities for your business. As your organization evolves, you can draw from Shrinking Planet’s integrated suite of web-based solutions to support your changing needs and put more control at your fingertips. For instance, with Shrinking Planet’s highly versatile, sitePilot Event Manager, online events of virtually any size and scope, from restricted invitation-only meetings to global, enterprise-scale events can be scheduled and managed from a single workstation. In addition to tracking participant registrations and attendance, the system can be seamlessly integrated with leading CRM systems so you can manage multiple events with ease.